Future of Pakistan (Insha Allah): WHAT WILL BE THE BATTLEFIELD OF THE LAST ENCOUNTER? WHAT WILL BE THE BATTLEFIELD OF THE LAST ENCOUNTER? Why has this land become the center of violence, oppression and pains? There is a never-ending series of hardships which are appearing one by one. Fire and blood, smoke and gunfire have become rampant. The generations of people in this country are being brought up in an environment of chaos, migration and expulsion from their own land. There are more than fifty countries in the Muslim world. Life in most of these countries proceeds with an air of absolute peace. They are gifted with abundant oil reserves. Some Muslim countries like Malaysia are enjoying ample economic progress causing pain to the West while rich Muslim countries like Brunei are making their inhabitants lead carefree lives full of pleasure-seeking activities. Compared to these, the Afghans have neither wealth, nor resources and not any economic progress which can threaten the outer world. Their land has Rocky Mountains, deserts, loud water streams and ponds or people living in tents. For ages they fought with the British, their land was divided with two portions of the tribe living on two sides. Water well on one side and those who wanted to quench their thirst being on the other side. Then Russia came and entered Afghanistan with all might. For fifteen years these people were scattered yet kept on fighting. Fifteen lakh of these people were killed and it is difficult to keep count of those who were rendered crippled. These people had not yet heaved a sigh of relief when USA attacked the country. The bodies of Afghans started being torn into pieces. Daisy Cutter and Cluster bombs started destroying their dwellings. Whole of Afghanistan was surrounded in this fire. Who were those that sided with the killers against the inhabitants is another story but the region of this destruction and the frontiers of this battlefield crossed even the divider line created by the white people themselves. If a missile destroyed a village in Kandahar then it used to wipe out a house in Waziristan as well. And if a drone used to reach its target through a bomb on one side then on the other side the corpses of men, women and children lay without being offered any rituals of burial. I used to often think what mistake this nation has committed that its punishment is not ending? Sometimes they are called ‘Mohajirs’ (immigrants) upon leaving their country and sometimes they have to act as immigrants in their own country being scattered everywhere, but last week this story from Israeli newspaper “Haaretz” connected all the dots in such a way that the truth came out in the open. This report was about renovation of the worship places of the Jews that are located in the city of Herat in Afghanistan. These worshiping places are centuries old because the Jews started settling in Iran and Afghanistan 720 years B.C. When Israel came into being in 1948 then there were about three hundred Jew families in Afghanistan and the total number of Jews was five thousand. All of them spoke Persian language and used to associate themselves with this royal language. After the formation of Israel, they left this land. Only three hundred of them were left behind and after the Russian invasion most of these also left the land but ten Jews preferred to stay behind with these worshipping places. After the attack by USA, two brothers Zahbloon and Isaac were dwelling in a Jewish temple in Kabul, both claiming it to be their inheritance. When these Jews settled here, at that time Afghanistan was part of a great Iranian empire. If you pass by the Firdousi street of Tehran you will find many shops of Jews there. Before Israel’s creation there were about one and a half lakh Jews in Iran but they eventually moved to Israel. However, they did not leave one city which is Isfahan which currently boasts off a figure of between thirty to thirty-five thousand Jews who have a representation in Irani parliament with one seat. I was without any astonishment by then that Jews from all over the world especially Europe and Africa had made a dash to Israel but these few Jews are still lying in Iran. Khurasan is that region which lies in Afghanistan from Ghazni to Helmand and in Iran from Mushhad to Nishapur. In this context the nation which has to participate in the last encounter between good and evil has to pass through tough trials to make it strong enough. They have to face migration, get scattered, pass through the ordeals of oppression and brutality to become an iron wall that can face the perils of Anti-Christ (Dajjal). The same perils about which our Holy Prophet Muhammad (S.A.W.W.) has said: “Since the creation of this world there is no greater trial than the trial of Dajjal and every Prophet has sought refuge from this trial.” Even the Prophet (PBUH) himself used to seek refuge of Almighty ALLAH from this trail through 'Dua-e-Masura'. If this is the battlefield and the land of the Mujahideen as well, then who would want to let this territory lie in peace? حضرت ابوہریرہ رضی اللہ عنہ سے روایت کرتے ہیں انہوں نے بیان کیا کہ نبی صلی اللہ علیہ وسلم یہ دعا مانگا کرتے تھے کہ اے اللہ میں تجھ سے عذاب قبر، آگ کے عذاب، زندگی اور موت کے فتنے اور مسیح دجال کے فتنے سے پناہ مانگتا ہوں۔ اے اللہ میں تجھ سے گناہ اور قرض سے پناہ مانگتا ہوں. Allah's Apostle used to invoke (Allah): "Allahumma inni a’udhu bika min ‘azabi jahannam, wa min ‘azabil-qabr, wa min fitnatil-mahya wal-mamat, wa min fitnatil-masihid-Dajjal. Allahumma ‘inni ‘a’udhu bika minal ma’thami wal maghrami. (O Allah! I seek refuge with you from the punishment in the grave and from the punishment in the Hell fire and from the afflictions of life and death, and the afflictions of Al-Masih Ad-Dajjal. O Allah! I seek refuge with You from sin and debt." An important pillar of US foreign policy is the doctrine of Kissinger. Kissinger is a fundamentalist Jew by his bloodline and by his beliefs. He has said: “The welfare of America is in the political dispute between three countries, Pakistan, Afghanistan and Iran.” Steps are being taken in this direction to date. Who will take the side of whom in the last encounter between good and evil OR the last battle between truth and false that only the Almighty knows. But who is creating hell in the land of prophecies? Who is making the lives of the people living in this land miserable? Who is taking side of the oppressors in their game? And lastly, who is observing a cowardly silence? Above Dua to protect against the Fitna of Dajjal‏ is mentioned in all sihah-e-sittah (Sahih Bukhari, Sahih Muslim, Sunan Ibn-e-Nisai, Sunan Abu Dawood, Jamia Tirmizi, Sunan ibn Majah) books. Where is Kunr and Nuristan etc provinces of Afghanistan which are near the border region with Pakistan, From where you get this map of greater khurasan? Asia in north of Afghanistan etc.). in the North and Damaghan and Gurgan in the West. A saint in sindh, he mentioned a child who born in 1398-98 hijri will change the world. The saint name was "Shaheed abdur rahim girhori (ra) in his poetry book. Now as you are saying the imam is now 33 years of age. Prince Bandar bin Sultan: Zionist love him but he is a son of a black woman probably a handicap in Saudi politics. There was a rumor he tried to do coup de'tat a few years back. Third could be another 3rd Generation son of Abdul Aziz from Sudairi seven. Maybe son of Fahd, Prince Sultan or even Nayef. One More thing which we are missing that father of Mahdi will be abdullah as we have the ruler of KSA now, and I have searched that there is a son of him whose name is Muhmmad which will be the name of Mahdi as mentoned by our Holy Prophet (PBUH). Allah knows better what is coming next. Any comments from any one. One more thing is that The current ruler is Abdullah and he has also a son name Muhammad which is quiet smiliar to the situation of Hadith that Name of Mahdi will be muhmmad and his father name will be Abdullah. King abdullah is not in good condition of health and any event can be took place as per Hadtih. Allah knoes better. Can some one give detail of the Hadith about the last ruler of Arabia name Abdullah and his brother Fahad, before the arrival of the Imam Mehdi and how authentic is this Hadith?. I read somewhere that it is a weak hadith or it is fabricated by shia scholars. Can any brother give an old reference of this hadith? Son of King Abullah whose name is Mohammad is not Imam Mahdi. Read my posted hadith about ruler of Hijaz Abdullah. Name of Mahdi may not be Muhammad or Ahmed but compatible with name of Prophet Muhammad (saas). True name of Imam Mahdi is secret. Prophet Muhammad (saas) told his name only to Hazret Ali (ra). It is secret. above rawayat about king abdulah is not a hadeeth as far as i know,it is most probably a shia mae up rawayat according to my search. Asalaamu Alaikum, Khurasaan was also homeland of Indian, Pakistani and Turkish people at time of holy prophet Muhammad (saas). Helpers of Imam Mahdi will be those people whose ancestors were belonged to Khurasaan region, Insha'Allah. On this holy night I congratulate everyone on this blog for thier efforts, and request them to please pray for the betterment of the muslim umah, & every creature of the creator in this universe. but theres no other time better than the shab e meraj, while going through it, that on 10 Jumaada al-awal 1433 A.H./ 2nd April 2012 following promise/assurance has been made/given in dream , over the request for the special attention from our Rasool e Pak Hazrat Mohammad (peace be upon him) of present worst condition(zulm/injustice) prevail in the muslims, especially with regards to pakistan, they (peace be upon him) told him " You dont have to get worried about it, I am going to take care of this, you just go back home and satisfaction assured "
May Allah Accept Our Tauba, Prayers & Bless Pakistan, Muslims In This Holy Night. well I got something from my spiritual practices. The month would be november when there will be a change in pakistan politics. I am not sure but lets see if my knowings will become true or not. @"pakistan is not included in khorasan"
Khorasani people live in Pakistan and India. All invaders after Islam come from Khorasan. I have become a fan of this blog gradually. I also has a graeat interest in islamic eschatology. As a descendent of indian muslim, I tried to learn the creation of pakistan. But never understood the plans of allah behind creating pakistan.but thanks to this blog, allah increase ur knowledge and bless u and ur family. I had read lot of book about islamic eschatology and numerious hadiths including weak and autjentic hadiths. And even some books by arab writers regarding end times. I wanna share a story here. Allah knows how truthful it is. But I believe it. When israel was created in 1948, a jewish old lady came crying to mother of mohamad ahmad al rashid, a well known iraqi writer. When she asked her the reason, why she was crying she replied" creation of israel will bring the destruction of jewish people. Israel will last 76 lunar years." Now, 76 lunar years equal to 74 solar(gregorian) years. It means 1948+74=2022. Can some 1 of you can throw some light on this phenomenon story? ADNAN OKTAR: 02.02.2022. That is also very important. Let them not forget it and note it somewhere. 02.02.2022 insha'Allah. 22:00 o'clock. Yes.. These are very rarely experienced dates in the life of this world. Let them note it down somewhere, they will see. Let them write it down somewhere. They will say "he said so" insha'Allah. ALTUG BERKER: Insha'Allah Master. Master I have here in front of me pages full of Imam Rabbani's words about Hazrat Mahdi (a.s.) from the Letters of Imam Rabbani. ADNAN OKTAR: Go on, tell us about it. ALTUG BERKER: In Letters of Imam Rabbani, page 357 he says; "Hazrat Mahdi (a.s.) is the greatest of the guides." ADNAN OKTAR: "The greatest of the guides"; yes he is the highest of the guides. He is the greatest of all guides. I mean Hazrat Mahdi (a.s.) is the greatest guide of all times. Furthermore in the Torah, it is said that Hazrat Mahdi (a.s.) is created even before the world was created. In the Torah it is stated that Allah created the Mahdi (a.s) first. MARTIN DZURIS: What is Mr. Oktar's opinion about when Jesus Christ and the Mahdi, when are they going to reveal themselves to the world? ADNAN OKTAR: In my view, within the next 10 years, around 2021. MARTIN DZURIS: Both at the same time? ADNAN OKTAR: More or less. Because the Prophet Jesus (pbuh) will proclaim the existence of Hazrat Mahdi (pbuh) to the world. He will propel him to prayer by putting his hands on his shoulders, and will announce that he is the Imam and the Mahdi. This statement will attract great esteem because of his being a Prophet possessed of revelation. *Abjad value is; a decimal system in which the 28 letters of the Arabic alphabet are given numerical values. @"ADNAN OKTAR: "The greatest of the guides"; yes he is the highest of the guides. He is the greatest of all guides. I mean Hazrat Mahdi (a.s.) is the greatest guide of all times. Furthermore in the Torah, it is said that Hazrat Mahdi (a.s.) is created even before the world was created. In the Torah it is stated that Allah created the Mahdi (a.s) first." In which verse in Torah it is stated that Allah created the Mehdi (a.s) before the earth?????????????? We have to be very careful in regards to such verses or claims in regards to old scriptures. As I believe its is only the Noor of our Beloved Prophet Muhammad (PBUH) that was in existence before the creation of universe etc..
@"In which verse in Torah it is stated that Allah created the Mehdi (a.s) before the earth?" I don't know the verse. Not only Hazrat Mahdi (a.s.) but we all are created before the creation of earth. We were present in Aalm-e-Arwah before creation of earth. Yes our Beloved Prophet Muhammad (saas) was created first before all creation. Masha'Allah brother good comment. 2022 Feb is very imported in which Islam will be exalted over every other religion i.e. Insha'Allah Imam Mahdi will be victorious. Assalamo alaykum, I assure my pakistani and afghani brothers and sisters that ghazva e hind will definately take place and hopefully soon it will take place.but before that we have to give so much sacrifices in the path of allah. I personally had so much faith in indian constitution and justice system of india.but realised only after 2002 gujarat riots that no one will stand for muslims except allah. I m sure muslims in india will lead a better life only under the rule of islamic caliphate of imam mehdi.I m also a born indian muslim,living overseas now a days.allah will unite the hearts of indo pak muslims in coming years. All differences will come to an end.despite the massive muslim population in india (approximately 230 millions).it is unofficial figure but it is a fact,mashallah. Muslims r facing so many challenges. Dose of nationalism is constantly given to muslims on daily basis.muslims r regarded as second class citizens in india.allah is watching the crimes of hardline hindus. may allah bring the imam mehdi to appear on earth soon. I firmly believe he has been born. I remember one of my friend telling me about a book which he had read in urdu in 2002. It was testing time for muslims in gujarat.atleast 10000 muslims were massacred by hindutwa brigade and properties of muslims were targetted and burnt down in bosnia-kosovo style. One of my frieand was sitting in despair and eventually found a hope in a book written by 17 th century muslim saint about what will happen in end times.in it, all the big incidents of 19th century were mentioned like world war 1 and 2, ghandhiji and moahamad ali jinnah, bloodiest riots of modern day india and most amazingly, a fiercefull army will rise rise in afghanistan and march towards india and capture tyrant hindu rulers and free indian muslims from tyranny of hindus. Insha'Allah Ghazwa-e-Hind will bring peace and justice in India, Pakistan and Afghanistan. Imam Mahdi will send troops of different nations of his Caliphate towards sindh and hind from middle east (not Afghanistan) to bring Justice. Insha'Allah Taliban will be one of troop of Imam Mahdi. 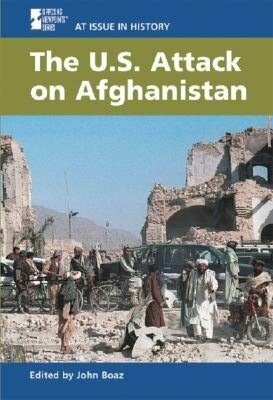 It depends upon Taliban. Because someone started spamming on the blog. 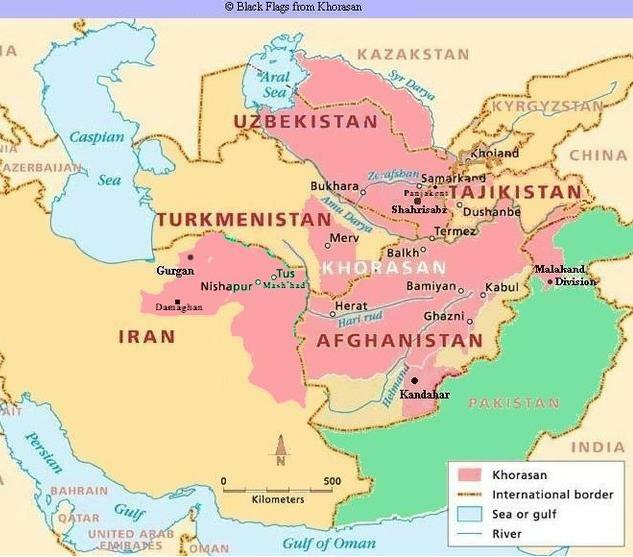 khurasan include pakistani areas west of indus according to my research.including our whole tribal area,on other hand i do not see any evidence that irans any part is included in khurasan.